Size maximum size between 18" to 42"
Extensively used in various sectors, Gear Type Shaper Machines is one of the massively demanded sheet metal machines. This machine is widely demanded because of their significant features such as high performance, condensed construction, sturdiness and long utility life. 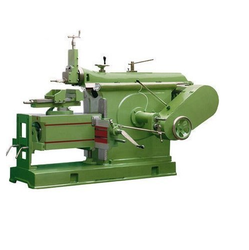 This Shaper Machines are fabricated in conformity with various international industrial standards and offered at the maximum size between 18" to 42". Along with their standard set of production, we also provide customization facilities to our clients on the basis of their detailed descriptions. Size 18" 24" 30" 36" 40"
Looking for Gear Type Shaper Machines ?